Come home to the best in high-rise and mid-rise apartment living in Long Beach, California at Camden Harbor View. Our community has one, two and three bedroom apartments that boast spectacular views of the Long Beach waterfront and Queen Mary. Camden Harbor View also has some of the best loft-style living available in Long Beach. Camden Harbor View offers spacious, open-concept floor plans with quartz or granite countertops, stainless steel appliances, washer/dryer, and underground parking for your convenience. Entertain your neighbors and friends from the comfort of your own home by utilizing the newly upgraded game room, watching a movie in the theater, or relaxing at one of the two resort-style pools. Camden Harbor View is a pet-friendly apartment community with a fenced-in, private dog park, as well as several pet stations throughout the community. Check out one of our unique loft-style apartments too! Located in Downtown Long Beach, Camden Harbor View apartments are at the heart of the city’s finest cuisine, shopping and entertainment. 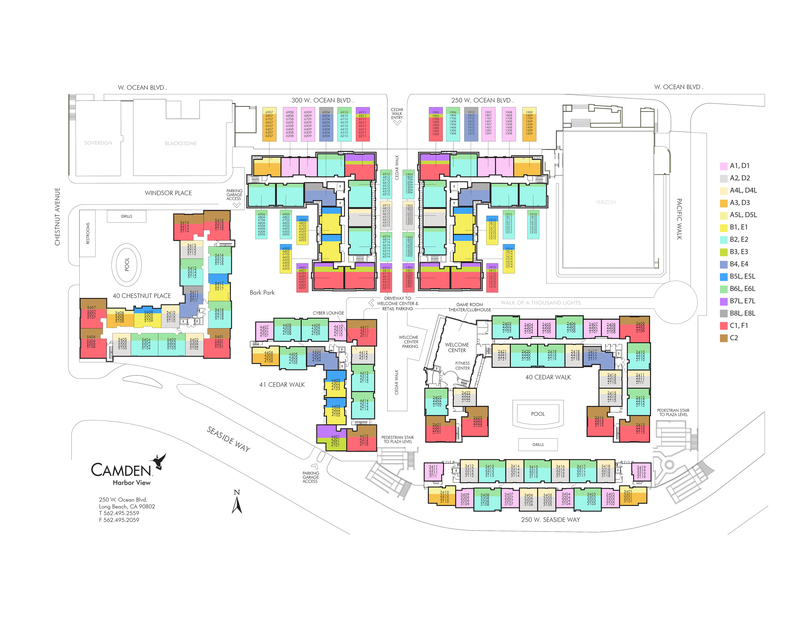 With restaurants like Buono’s Authentic Pizzeria, Mosher's Gourmet Deli and The Wine Bar, just downstairs of the main apartment building, you don’t have to go far to enjoy the perks of living at Camden Harbor View. If you’re looking to venture out of Downtown, Camden Harbor View is just minutes from The historic Queen Mary, The Aquarium of the Pacific and the Catalina Express. Just minutes from the 710 freeway and the Metrolink, you are always close to where you need to go. Camden Harbor View also sits on the race route of the Grand Prix of Long Beach, the largest spectator race of its kind in the United States. Read more about urban living in downtown Long Beach from the Simply Camden blog. The good life in Downtown Long Beach is waiting for you. Come home to Camden Harbor View. Check out our available floor plans today! We'll save a spot for you! We offer one to two parking spaces per apartment home with additional assigned parking available for $75 a month. Residents may print Visitor Parking Permits from their home that are good for 48 hours.